Baltasound is a community on the island of Unst, the northern most occupied island in the United Kingdom. We stayed at TripAdvisor’s number 1 hotel in the community (well, 1 of 1), the Baltasound Hotel. I would absolutely, positively, stay there again. 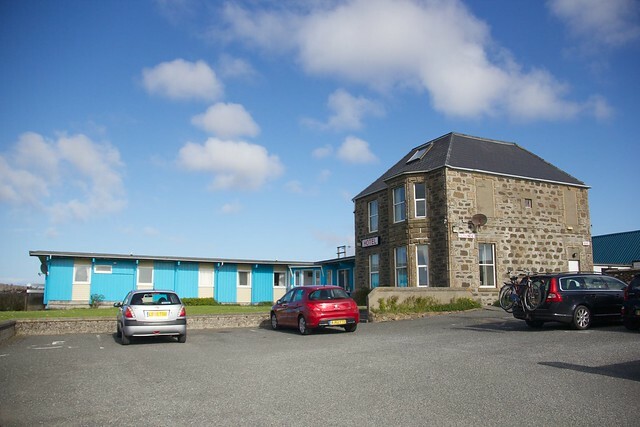 While our room was somewhat basic (small but ensuite) and the breakfast the Scottish standard, what puts the Baltasound Hotel on my repetition list is its restaurant. It look unassuming, but that two story section hides a fantastic chef. Make sure you have reservations because if you do not, you might not be able to get a table – and you really, really want a table there. The food is absolutely, positively, incredible. The seafood is fresh, the seasoning excellent, and the toffee cake is a dessert item not to be missed. We ate there by default the first night and even before we finished our dinner, we made reservations for our second night. Beyond the hotel, Unst has a number of activities worthy of taking part in – we’re not birders, but the birding is excellent. Visiting a beach, we met a couple from England who were thrilled to have spotted a very rare (on this side of the Atlantic) loon – they let us look through their spotting telescope to see the birds floating way out in the ocean. We also saw, first hand, the Great Skuas while hiking through the Hermaness National Wildlife Refuge. We made it out to the cliffs at Hermaness, but heavy fog prevented us from seeing more than 40 or 50 feet from where we were standing. The ocean below could be heard but not seen. That said, we had a lovely time – the warden talked to us about what we were seeing and then advised us that the hike that was posted was not particularly wise or safe on that day (plus, even on the good days, it wasn’t recommended as the trail was not in good nick). I wasn’t kidding – it was foggy! 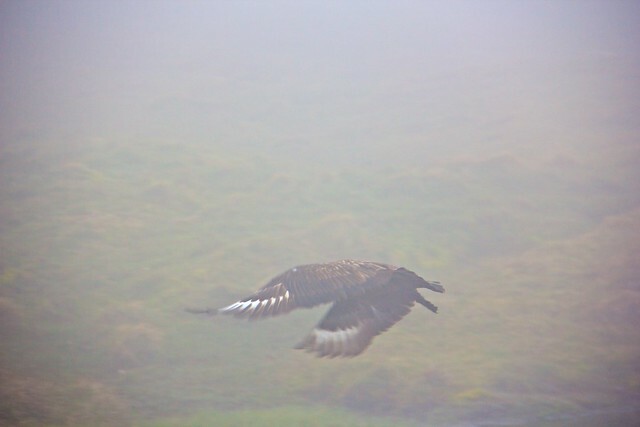 This is the Great Skuas, the reason the park was created. Annoyed with my snapping, he flew away. 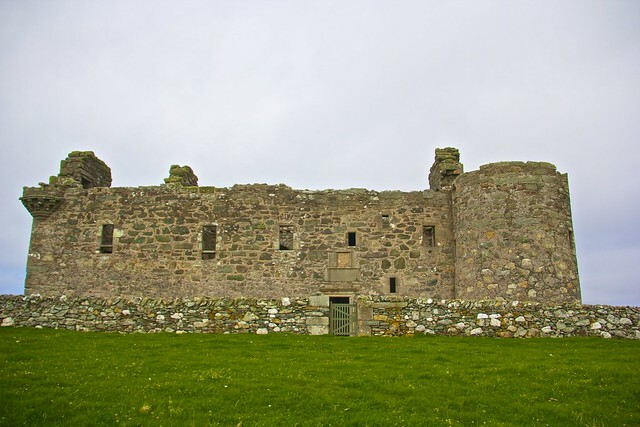 Unst also offered us the Muness Castle – a castle that has long fallen out of use and into disrepair, but given that it’s in such a remote location, one is free to wander as one wants. No key is needed to gain access. 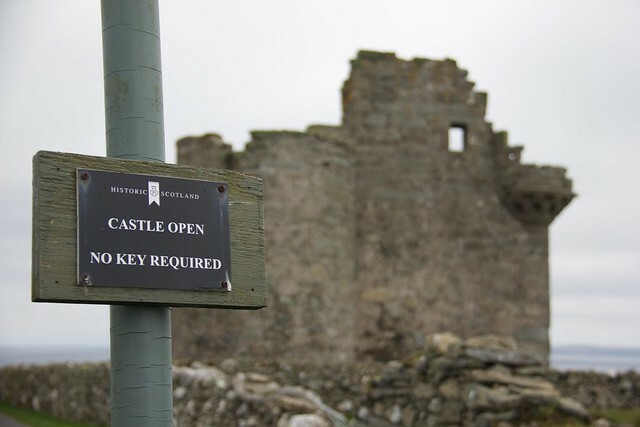 This sign was posted at the parking lot to Muness Castle. Muness Castle as we saw it. It lacks a roof. 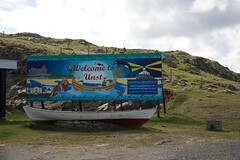 One of the best things about our time on Unst was the fact that we kept running into the same tourists at many of our stops on the island. The island is small enough and the menu of options limited enough that it’s actually quite likely. Additionally, Baltasound is home to the UK’s northernmost post office, where every postcard is hand franked with a special cancellation mark. I would have sent everybody I know a postcard from there, but my hands started to cramp and I wasn’t on the island long enough to write them comfortably. 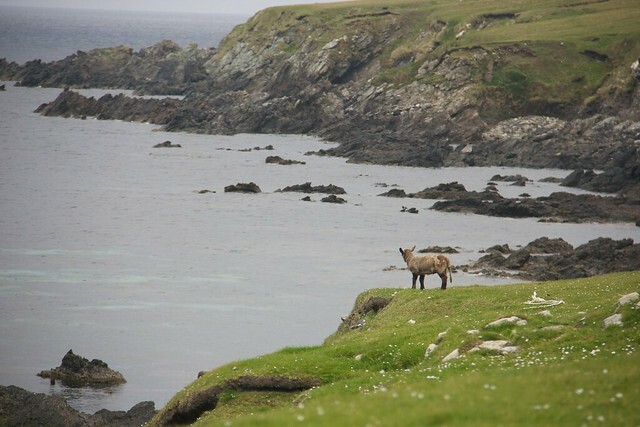 There are lots of sheep (and baby lambs) on the Shetland Islands. 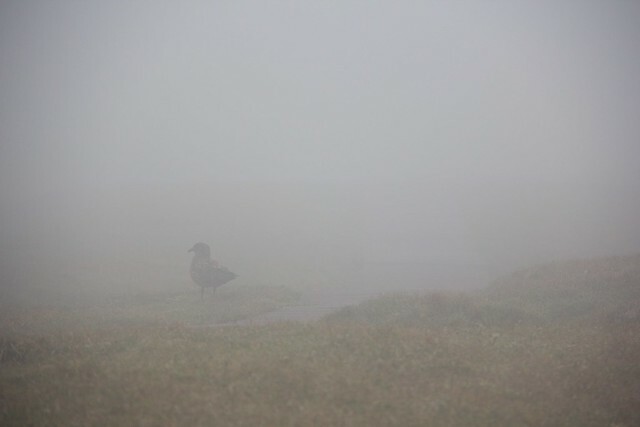 This one was overlooking the North Sea. 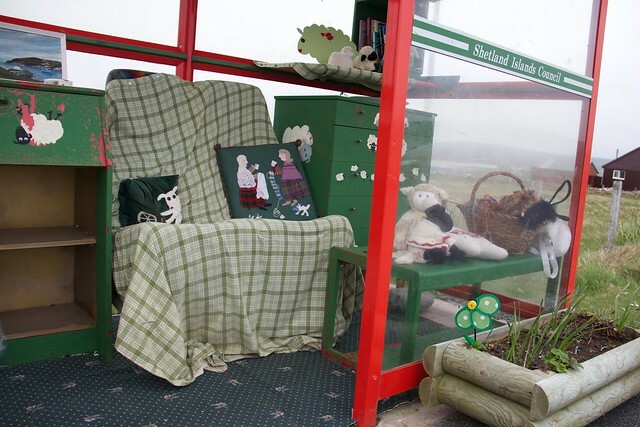 Finally, one of the most famous bus shelters in the UK, Bobby’s Bus Shelter, was located near our hotel, and we stopped by to enjoy this year’s Sheepish themed display! Bobby’s Bus Shelter for 2013. Books to read while waiting for the bus. Cozy seating for when the bus is late. It’s so weird going back to this blog post now that I’ve just gotten back. Suddenly it’s all very familiar! The Baltasound hotel parking lot, the Muness castle (it has considerably longer grass now, in August! 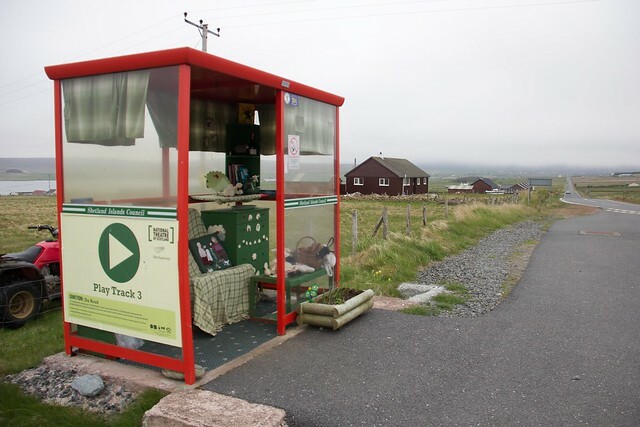 ), Bobby’s bus shelter with the books. 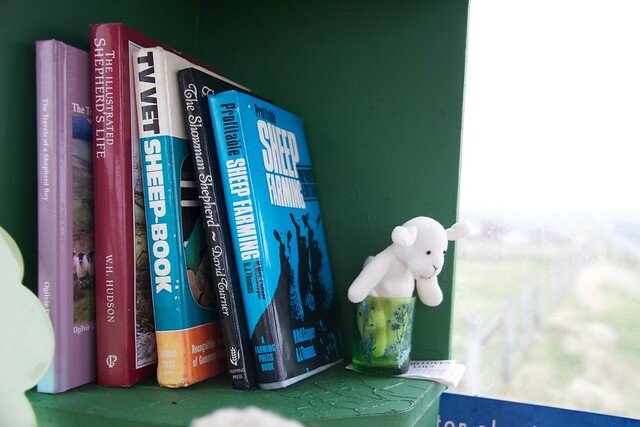 I particularly enjoyed the TV Vet Sheep Book during my time in the bus shelter. 😉 I can also testify that the food at the Baltasound Hotel is exquisitely good.